I am sure Carlos Danger can find something else to amuse himself during that time. Anthony Weiner will be conspicuously absent from the fundraiser his boss, Michael Kempner, is throwing for his wife’s boss, Hillary Clinton. 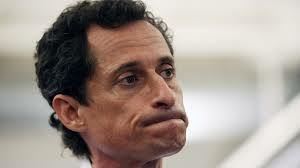 Weiner has been kept away from Hillary since his second sexting scandal first broke in 2013, even though Weiner’s wife, Huma Abedin, has a bigger role than ever in Clinton’s presidential campaign. Kempner and wife Jacqueline are hosting a fundraiser that Hillary will attend Sept. 24 at their home in Cresskill, NJ.